When discussing what shapes Russian public opinion, a common theme in US mass media dwells on how the news is covered on the three main Russian national TV channels. The US mass media proponents of this mindset would benefit from taking a more critical look at themselves. As one example, with many to choose from, the September 23, 2015 PBS NewsHour segment with host Margaret Warner and Marvin Kalb, qualifies as propaganda, benefitting a neocon to neolib leaning realist rationale, for not going too all out in confronting Russia over Ukraine. Kalb and Warner are ironic in the way they depict an unfair world. For them, what has transpired in Kosovo is apparently not illegal, unlike Crimea's reunification with Russia. Concerning this issue, Kalb and Warner omit the case for Crimea's changed territorial status, relative to Kosovo and what occurred in Kiev – the latter involving coup like circumstances against a democratically elected president, followed by a series of anti-Russian actions, that offended the pro-Russian community within Ukraine's Communist drawn boundaries. Kalb restates Zbigniew Brzezinski's simplistic claim that Russia is an empire with Ukraine. Is the UK still an empire, given that the Scots and the dominant English aren't as closely related as Russians and Ukrainians? Yes, the referendum result on Scotland's status, favors a continued affiliation with Britain. At the same time, there's no legitimate denying that a clear majority in Crimea prefer being a part of Russia rather than Ukraine – a reality which sees the majority of ethnic Ukrainians in Crimea favoring such as well. Kalb rehashes the broadly inaccurate depiction of Russian history starting in 10th century Kiev. In 1862, Russia formally honored its 1,000 year existence, with a specific and primary reference to Novgorod, which is in present day Russia. The topic of Russian and Ukrainian history brings to mind the June 6, 2015 Radio Free Europe/Radio Liberty piece «In Moscow, Plans For Statue Of Kyiv Prince Vladimir Face Opposition». «To some critics, the planned monument looks like a blatant bid to steal some history from Kyiv, and to rope Ukraine to Russia symbolically at a time when many Ukrainians believe their country is under attack from Moscow». The unnamed «critics», erroneously suggest theft, when an interrelated centuries long experience is the greater reality. Honoring a saint in the Russian Orthodox Church doesn't constitute stealing. On this matter, the claim of theft is on par with saying that the Russians stole Nikolai Gogol. 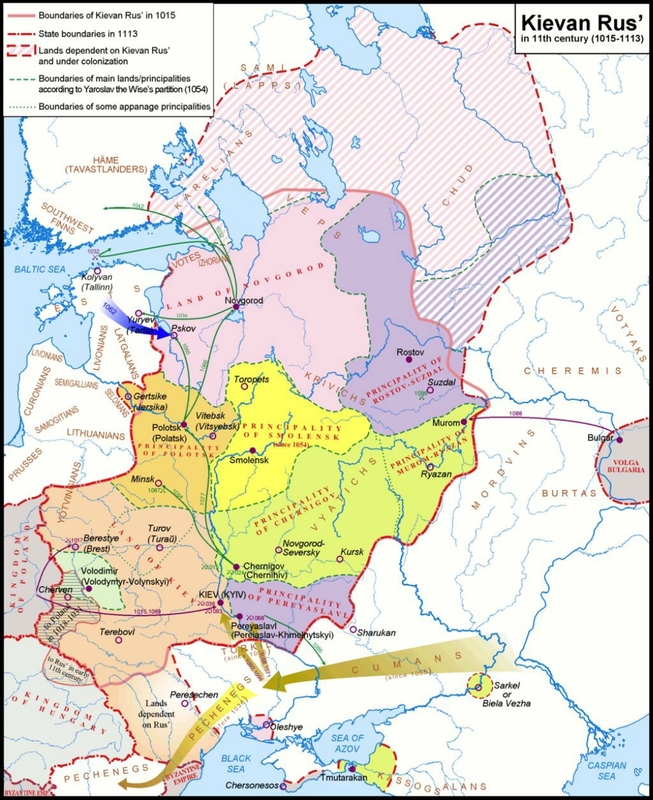 Revisionist history aside, Gogol positively identified with Russia, while exhibiting pride in his native part of the Russian Empire – the territory in present day Ukraine, which was in the Russian Empire. So there's no misunderstanding, these observations aren't intended to deny the developed popularity of a separate Ukrainian national identity (albeit with some differences) to its current level. It's also undeniable that a good many ethnic Ukrainians maintain a close fondness for Russia. Many of those associated with pro-Russian sentiment in the former Ukrainian SSR have surnames that suggest a Ukrainian background. - extreme Ukrainian nationalist wing, considered a minority, while having disproportionate influence. 2009 wasn't so long ago. Given the past and existing circumstances, pro-Russian sentiment in Kiev regime controlled Ukraine has a chance for a comeback in the future. EuroAtlantic chauvinists are likely to scoff at this notion by emphasizing the greater wealth of the US and EU, when compared to the Eurasian Union. What good is that standing, if it's not going to be effectively delivered for the overall benefit of Ukraine? It's paramount for Russia to see a secure and not so downtrodden Ukraine. An extremely impoverished Ukraine has a negative spillover effect for neighboring Russia. The distant neocon to neolib, to flat out anti-Russian advocates in the West aren't as dramatically affected on this particular.